Shape: Cylindrical, Oval, Flat, Etc. D. G. Boys & Co.
We supply empty glass bottles of nail polish in various range and design including all raw materials at best price. We have excelled in the field of manufacturing and supplying a comprehensive range of Cream Glass Bottle FLC 014. 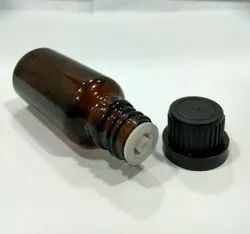 This range of bottles is specially processed using high grade raw material that adheres to the industry norms and standards. Besides this, we always quality test our product range to bring out superior grade products that can be availed at economical prices. 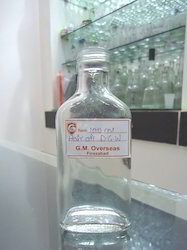 We are dealing into good quality of bottles. Glass Rose water bottle is an exclusive handcrafted piece manufactured at our end. • Finish: Black Nickel Polish. Shankara Overseas India is the most promising Exporter for Nail Pant and Currently we are expanding our Business Unit in many African and European Market. Please contact us for the Futher Information. We are actively engaged in offering best and most paramount quality assortments of Glass Bottles. These offered bottles are available in glass textures. These glass bottles are use for storing shampoos, body lotions and spa creams. They look stylish and very elegant in beauty parlours. They are available in much size too.